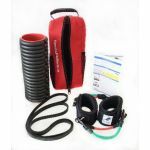 Performance Bag, 0.5" x 40" Powerband, Speed Band, MFR Roller, Instruction Flyer. Please click here to see all our testimonials for this product. For 20+ team orders, kits are €51.22 or to customize kits to the content you need, Please contact us on 062-77014 or sales@sportsphysio.ie for bulk discount. The Sports Performance kit is specifically designed to help an athlete to remain injury free and in a position to reach peak performance. Choose from 3 kits that we have designed or add items from our full range of Prehab supplies. Available in colour Red or dark blue. 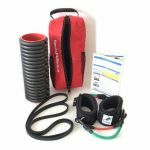 The Kit contents are designed to improve an athlete’s mobility & flexibility & to also aid muscle activation. 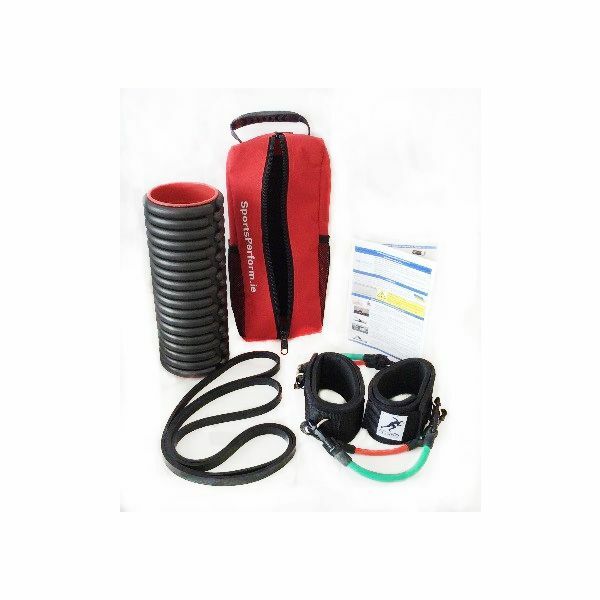 Improvement in these have been proven to aid in the reduction of incidence of injury. With the compact carry bag you will be able to store all the items in one easily transported carry bag, ensuring all items can be stored together and maintained.